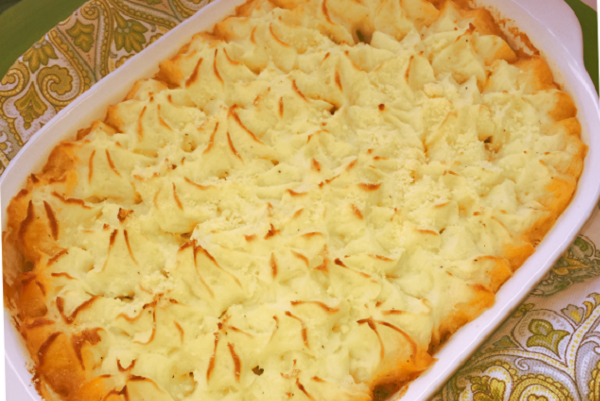 You don't need to be Irish to enjoy Shepherd's Pie. 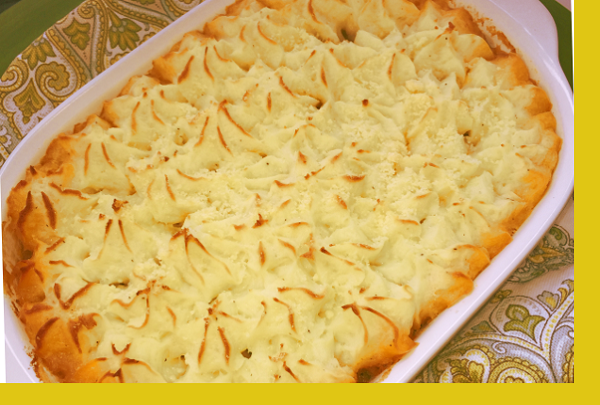 A traditional casserole of ground beef and mashed potatoes. It all comes pre-assembled so pop it in the oven is all that'll be required of you. Hooray! Preheat oven to 400F. Bake for 45 mins or until golden brown on top. Can I get this every month? This was pretty awesome. I really would like to see it on the menu monthly. Easy and savory. Great flavor, very easy to prepare. Will order again! Overall it had a nice flavor. The top was nicely decorated with the potato mixture. However, we found one of the seasonings, either the rosemary or the thyme to be a bit on the heavy side. Ours didn't require baking for as long. We upped the temp to 415 as we had somewhere to be and baked for 25 minutes. It was bubbly and hot.